All your insurance needs: home, car, business, health, life, savings and investments. Contact our English speaking staff and quote 'Artisan Central'. Solving your administrative problems in France. Moving to a new country opens the door to so many enriching experiences, but establishing your home and working life in France can be difficult when your language skills are still a work in progress. For the equivalent of just 5€ per month, website membership brings you understanding of your administrative options and obligations, giving you control and peace of mind in the future, at an extremely competitive price. 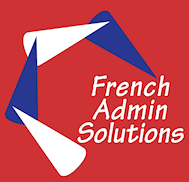 Helping businesses with all their administrative requirements, French and English, as well as private customers of various nationalities living in France. In addition, translating and interpreting. A friendly, personal, confidential and professional service tailored to your specific needs. I speak English, French, Portuguese and Spanish. Kate Stuart Design, a London based graphic designer with 25 years experience in advertising, design, and online communication. We specialise in web site design and development, corporate and brand identity, packaging and print. We take pride in producing well thought out, creative and cost effective design solutions for your business. David Nicholls is a Senior Financial Advisor at deVere France. deVere Group is one of the world’s leading independent financial advisory organisations, with more than $10bn under advice from over 80,000 clients in 100 countries. deVere helps its clients, who are primarily expatriates and international investors, reach and often exceed their financial goals. Working closely with them, they devise, implement and manage bespoke financial strategies and solutions that help clients create, grow and maximise their wealth. French regulation ORIAS 12064640 and ANACOFI-CIF E008176. 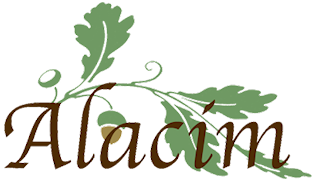 Alacim Social Media Marketing is run by Micala Wilkins who is based in France. Micala works for several UK and French companies, managing their social media activity. This can include managing accounts, research, preparing content (such as articles and newsletters), advising on the best use of social media tools and ways to enhance a business’s social media presence. Micala also provides training and runs workshops for those who want to learn more about social media. We believe in bespoke planning and buying, tailored PR and effective creative. We offer a safe pair of hands to guide you through the media minefield, help you identify your communication objectives and master online and social media. Currencies Direct make overseas money transfers simple for you - you'll get access to a Currency Expert, we don't charge any fees, and you could make a significant saving compared to your bank. We were the first company outside of the banking world to focus on sending money abroad - we've been doing it for the last 20 years, and we're confident we can help. Suzanne Barry was a professional estate agent in France for several years and recognises the type of image which can help sell a property. Suzanne specialises in offering high quality, professional property photos designed to showcase a client's Poitou-Charentes home, be it a chateau or cottage. 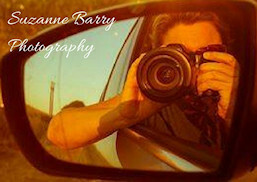 Suzanne also undertakes other assignments such as portraits and covering events.